For questions pertaining to our therapy or counselling sessions please fill out this form & one of our Psychologists will be in touch with you shortly. Please include any details about the type of help you’re looking for. By sending your e-mail or the form on this page, you acknowledge that you have read, understand, and agree to this Disclaimer. In order to maintain your confidentiality, all detailed responses will be through telephone contact. Located just north of Toronto, Woodbridge is a thriving city in York Region that has become a place to live, work and play thanks to its wide array of homes, employment opportunities, and centres for entertainment. With the recent introduction of an expanded TTC subway line reaching all the way to Highway 7 and Jane Street, residents also have the opportunity to quickly access the downtown core within a matter of minutes without having to commute to traffic-laden centres much further south. Woodbridge is quickly becoming one of the most-sought-after and highly-coveted cities in all of Canada, offering residents a variety of opportunities to take advantage of while enjoying a great lifestyle. Not long ago, Woodbridge was mainly a large piece of farmland with little to no development. Over the past three decades, Woodbridge has been filled with homes and places of business, making it the bustling city that is quickly becoming known as downtown north. The first school was built in the early part the 19th century along with a flour mill and store in Pine Grove at what is now known as the intersection of Islington Avenue and Langstaff Road. The area’s first set of homes were then built around Smith’s mill in Pine Grove, which was later known as Smithsville. Eventually, Smithsville became incorporated into the town of Woodbridge. However, Woodbridge didn’t actually become a settlement until 1837 after the arrival of Rowland Burr. The name “Woodbridge” came to be in 1855, which was named so after a wooden bridge which crossed the Humber River that served as an access point into town at Islington Avenue and Langstaff Road. During the 1950s, Woodbridge experienced urban sprawl as a result of more residential homes being built outside of the Toronto core. Many Italian Canadians who originally settled in the city centre – mainly in the Little Italy neighbourhood – started to migrate north to Woodbridge. Woodbridge continued to explode as residential housing developments throughout the 1990s expanded north of Martin Grove Road. 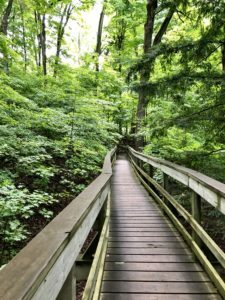 The Kortright Centre for Conservation is a conservation area in Woodbridge, located at Pine Valley Road and Rutherford Road. The 325-hectare centre opened in 1979 and features several festivals throughout the year, including the Sugar Bush Maple Syrup Festival and Kite Festival. The centre also features a shop, summer programs for youth, and the non-profit Earth Rangers that’s focused on educating youth on environmental issues. The Woodbridge War Memorial Tower is located close to Market Lane in the Martin Grove and Kipling Avenue area of Woodbridge. Construction started in 1924 and is the site of annual Remembrance Day festivities. Hundreds gather every year to pay tribute to the fallen soldiers who have bravely fought to protect the country’s freedom. The Vellore Village Historic School House has been around since the early 19th century, and still maintains many of its original traits. Though it is no longer used as a school, the schoolhouse continues to be the site of weddings and other events. Boyd Park is an expansive greenspace at Islington Avenue and Rutherford Road, which is also the site of various festivals and concerts and is popular among families and groups where many events and picnics are held. Vaughan Mills Mall is a massive conglomerate of dozens of shops that is uniquely divided into 6 neighbourhoods. In addition to traditional retail stores, the mall also features entertainment and restaurants. 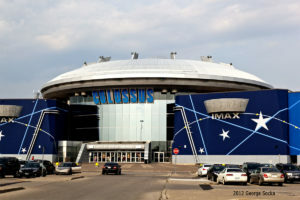 People visit Vaughan Mills Mall throughout the year, many of whom are tourists. In particular, the mall’s anchor Bass Pro Shops is heavily visited by both locals and tourists alike. Market Lane is a stretch of residences and commercial properties that is located along Woodbridge Avenue between Kipling Avenue and Islington Avenue. It has long been the hub for the local Italian community – as well as Italian Canadians in other surrounding communities – with most of the businesses catering to this particular heritage. People flock to Market Lane in search of authentic Italian fare and shops. Today, Market Lane is also home to an ever-growing expanse of low-rise condominiums. There is plenty to do in Woodbridge. At Highway 7 and Weston Rd is a massive complex offering residents and visitors plenty to see and do. Within this “downtown” area of the city are restaurants, shops, movie theatres, arcades, and clubs to entertain residents both young and old. Market Lane is also a popular spot for those looking to take in an authentic Italian dinner or simply grab an espresso or cappuccino. For those who love to take in a thrill ride or enjoy a funnel cake, Canada’s Wonderland is located in Woodbridge at Rutherford Road and Jane Street. This amusement park is the most popular in all of Canada and continues to be an increasingly popular place for people to visit from May to October.